Cuba conjures such fascination for Americans. Only 100 miles separates Key West, Florida from Havana, Cuba, yet how could the American and Cuban people remain so isolated from one another for such an extensive period of time? How could a country so close to our shores exist as if time had stopped 60 years ago? 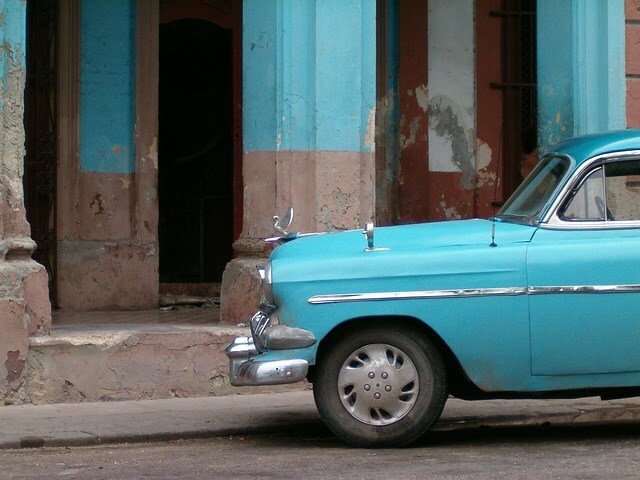 Classic cars have become an iconic Cuban symbol. Over the past decades, the relationship between the U.S. and Cuban governments has been frigid at best. An embargo prevented Americans from having any connection with Cuba. 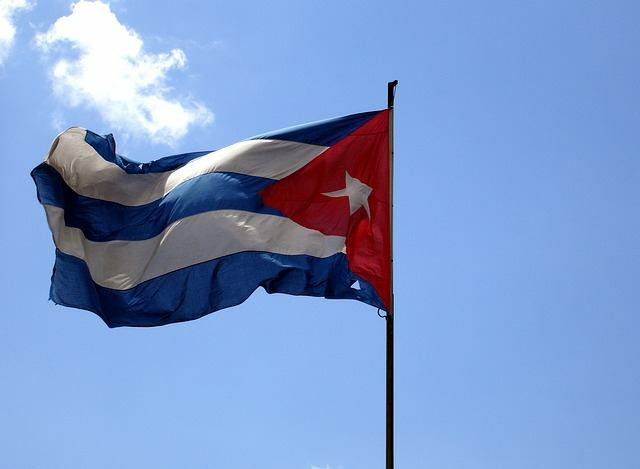 The embargo included travel, which made it illegal for any American who wasn’t approved for a travel license from the U.S. government to travel to Cuba. In early 2015, President Obama’s administration announced its intentions to restore relations between the U.S. and Cuba. A flurry of excitement followed. Now, in a little more than a week, I’ll be heading to Cuba (with hubby in tow)!! 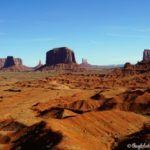 Yet, when I tell people about the trip, I’m almost always met with a hesitation and an inquisitive glance. Similarly, at the 2016 New York Times Travel Show, travel experts Arthur and Pauline Frommer did a seminar about up and coming destinations in 2016. They encouraged Americans to travel to Cuba and were met with a barrage of questions and misunderstandings about the quickly changing rules governing Americans traveling to Cuba. The news is reporting that domestic airlines could be flying routes between the U.S. and Cuba as early as this summer. Hotel brand, Starwood, announced they’ll be taking over hotels in Havana. President Obama became the first U.S. President to visit Cuba in over 80 years. Americans’ wanderlust for Cuba is beginning to boil. 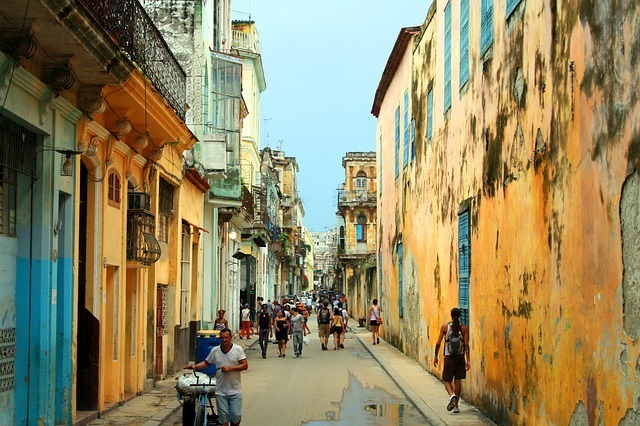 U.S. citizens want to understand the current rules about traveling to Cuba. So, can Americans travel to Cuba? Let’s be clear from the start. Americans CAN’T freely travel to Cuba as a tourist. This means, as an American, you cannot go and relax on Cuba’s beaches for a week. That’s still illegal. 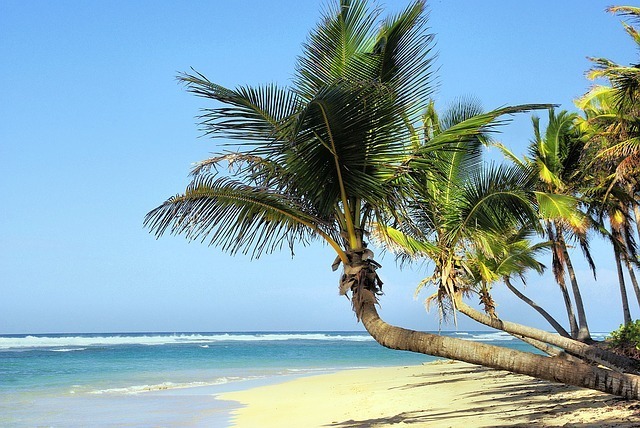 It’s illegal for Americans to travel to Cuba for a beach vacation. BUT, plenty of Americans are traveling to Cuba for a variety of reasons other than tourism. So…Yes, Americans CAN travel to Cuba, but it must be for a pre-approved reason. Let’s see how Americans travel to Cuba and what has changed to make it much easier. Before 2015, Americans who wanted to go to Cuba needed to apply to the Department of Treasury and qualify for a travel license within 1 of 12 categories, or reasons for visiting. Approval for the travel license was a strict and long process. Americans who want to travel to Cuba must still fit within 1 of these 12 categories. BUT, they no longer need to apply and be approved for the license from the Department of Treasury. Americans can self-approve their reason for traveling to Cuba as long as it fits into 1 of the 12 broad categories. In other words, Americans can travel to Cuba without needing any special permission or approval from the U.S. government if their reason for travel falls within the scope of any of the 12 categories. 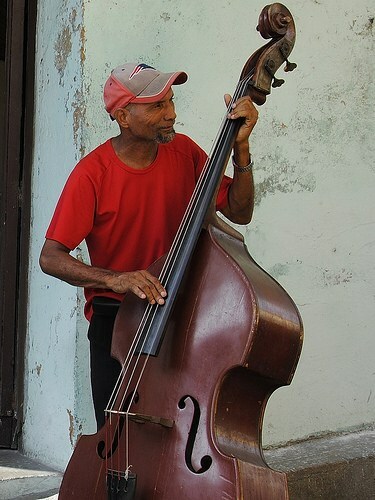 People-to-People trips to Cuba were started to connect Americans and Cubans in a cultural exchange. The trips’ intent are to go beyond basic tourism and allow American visitors to meet and talk with Cuban artists, musicians, scientists, conservationists, and community volunteers. This interaction is to learn more about Cuba, its people, culture, and history while they, in turn, learn from the visiting Americans. These trips have been organized and run by tour operators who were approved by the Office of Foreign Assets Control in strict accordance with the laws regarding the U.S.-Cuban relationship. People participating in these tours keep a tight, guided schedule of cultural activities. A major criticism of these trips, though, is the price. A 10-day people-to-people trip to Cuba costs over $4000! As of March 2016, the only direct flights from the U.S. to Cuba are chartered flights specifically for these trips. The cost for the flight, several hundred dollars at the least, is in addition to the trip price! Critics also point to the contrived and inauthentic people-to-people connection, rather than interacting with each other spontaneously and naturally. While Americans cannot go to Cuba to lounge on the beach and work on their tans, planning a trip to Cuba to visit museums, historic sights, and to culturally engage with the Cuban people can now be self-organized and self-guided. This makes Cuba accessible for a lot less money to any American who wants to visit for cultural and educational reasons. Can Americans really plan a trip to Cuba? 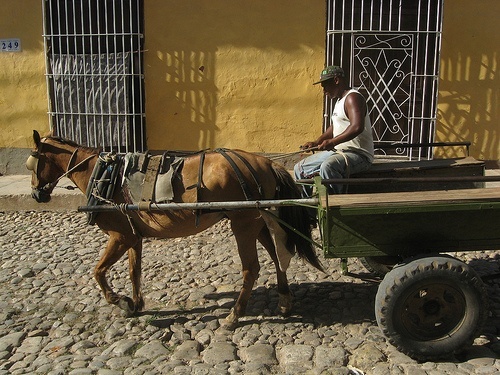 What will you learn as you explore Cuba’s history and meet its people? Yes, as long as you can honestly approve yourself within 1 of the 12 categories or plan an independent people-to-people trip. Read more about the 12 categories here in this document issued and updated by the U.S. Department of the Treasury. You should plan and keep to the specific itinerary you organized based on your reason for visiting. Keep a journal or log of how you spend your time in Cuba and keep all receipts. You should plan to save your journal and receipts for 5 years. In the coming weeks, I’ll be publishing information about how I planned my trip to Cuba and how you can, too! I’ll also be sharing my photos and experiences on social media so I hope you’ll be following along and sharing as well!! 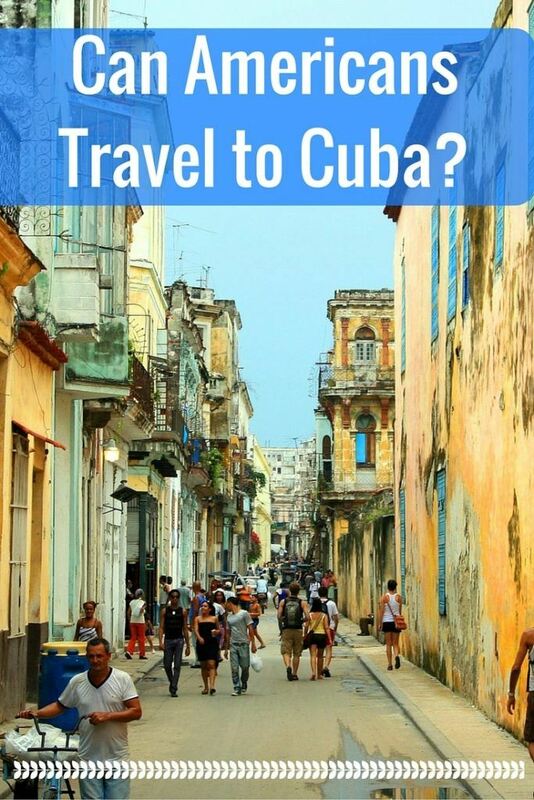 Do you want to travel to Cuba? 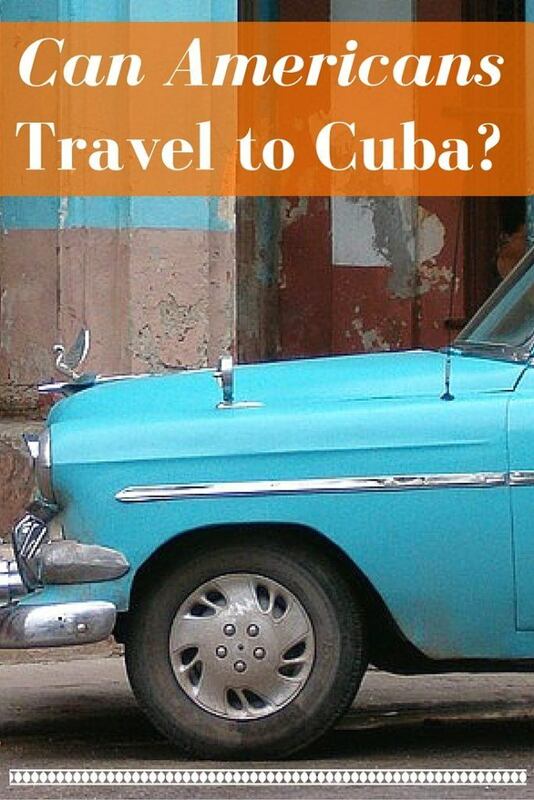 Are you planning a trip to Cuba? Share below in the comments! Disclosure: This post is not legal advice. I am merely explaining my understanding of the new rules based on my own research. 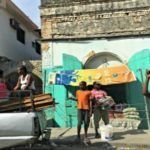 Each traveler to Cuba should check with the U.S. Government to make sure they’re in accordance with the most up-to-date rules regarding travel to Cuba. Ommagoodness that’s all complex and well and good and all of that… and kind of funny that the requirements are so broad. Perhaps it’ll be even more simple, open, and less expensive sooner than later. Great photos. I’ve never had US restrictions on Cuba – I KEEP meaning to visit BEFORE it’s fully open to the US, simply because I think it will be quieter. Thanks, Fiona. You should get to Cuba soon, then! The U.S. is full of people dying to go to Cuba. I would expect the 2nd half of 2016 and 2017 to be huge years for Cuba travel. It will be great to see Cuba before it changes-Good luck with your trip and can’t wait to read your post! It’s awesome! I always believe that the world should have no borders and people should be allowed to travel around freely. Enjoy your trip! We’re planning on heading there soon too. Even though I’m not American, this is a hugely helpful post – I’ll be passing it on to my US friends for sure. Thanks so much, Katja! We are very excited for the cultural experience. Now that Americans can plan their own “people to people” trip, it will be so much easier to visit Cuba legally! 🙂 Enjoy your trip to Cuba as well! I’ve been so excited to see all the changes happening, our policies toward Cuba has been some of the dumbest things in my opinion, especially that it’s lasted this long. I’ve wanted to go for a long time and glad it’s becoming an option for others as well. Excited to follow along on your trip. As a European I’m shocked to read about something like a travel embargo. And it seems even though Americans are now allowed to travel to Cuba…they are kind of not. It’s sto strange to think that an entire nation is discriminated against the possibility to freely enjoy a country simply because of their nationality. And this has been going on since the 60s. I really hope this will lift at some point. 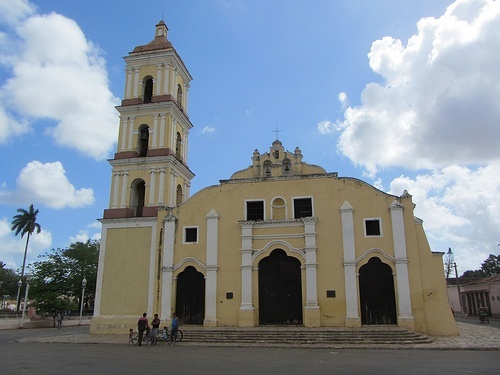 You have put together a really valuable post for Americans intending to travel to Cuba! The changes started slowly but have really picked up in the past month or so, Tess. Agreed about the travel embargo. It only strengthens a dictatorship to isolate its people. Cultural exchange and tourism bring a flow of ideas and money that uplifts a population and creates change that begins with the people. As soon as direct flights begin later this year, many Americans will be booking their trips! Now that people can plan their own cultural exchange independently, all that is needed are direct flights. That should happen later this year, Clarie, and then the floodgates will have truly been flung open. I think I could do some serious professional research on Varadero Beach. Fortunately, as a Canadian, I don’t have to, so I’m glad I made it there last year before the prices go up. This is a really helpful post for a very confusing changing – and exciting – situation – as so many people are interested in going. It’s going to get easier and easier to go to Cuba, I believe. With that being said, I hope Americans appreciate what they are now able to see and don’t mess it up for future generations. When are you planning your trip? I would love to see your itinerary. My husband and I would like to plan our own people to people trip, but I am worried about the legitimacy of this. As long as we keep a journal of our cultural experiences while there are we ok? 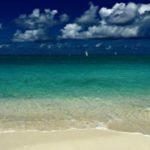 Is there any kind of cuban travel guide group that you are going through? Thank you Jackie for responding so quickly. I am still on the fence on whether or not to go. I read that just general conversation with people wouldn’t cut it in terms of a people to people trip. I read the NY Times article that said that there is “no shortage of opportunities” but I am just wondering what constitutes as a people to people itinerary and what doesn’t, it seems very grey. Do you have anything specifically you are doing to make this connection that you can pass on to me? I need to make a decision in the next few days if I will be going. I am looking forward to hearing about your trip. I am following your Pinterest board now. I’m not an American but I am planning to visit Cuba for the first time this year! I think it’s not complicated for us to enter and I am really happy about it considering that I need a visa in almost all the countries in the world. Thanks for sharing, Jackie! I’m a computer science teacher and would love to visit schools to observe how they use technology in class. Maybe offer some insight as to integrating technology, etc. Do you know of any persons who are educators there that wouldn’t mind possibility collaborating with me on this idea. 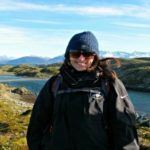 Thanks so much for reading and how exciting about your upcoming Cuba trip! 🙂 I wrote this post about Americans traveling to Cuba in anticipation of my Cuba trip. However, due to a sudden family emergency, I had to cancel the trip the day before departure. So, no photos to share at this time. As for your questions, are you planning your own people to people trip? My research shows no one will necessarily ask to see your itinerary, but you should keep records of your itinerary for 5 years after your trip. You should also be able to get your Visa at the airport before you depart. JetBlue, I think, charges $50. If your people-to-people trip is through an organization, they should handle the Visa for you. I hope that helps and enjoy your trip!! I’m a Spanish teacher. I am trying to arrange a trip to Cuba for the end of Feb, 2017. Can I just interact with people talking Spanish as my reason for going? I want to improve my Spanish and learn about the Cuban culture. I have found a cheap flight with Copa through Panama. Do I just buy the ticket and go without getting a visa ahead of time? It’s so exciting to have a trip to Cuba coming up! As for Visa, you should be able to get that at the airport, either from where you are departing or from the airport in Panama. If you check with Copa, they should be able to let you know. 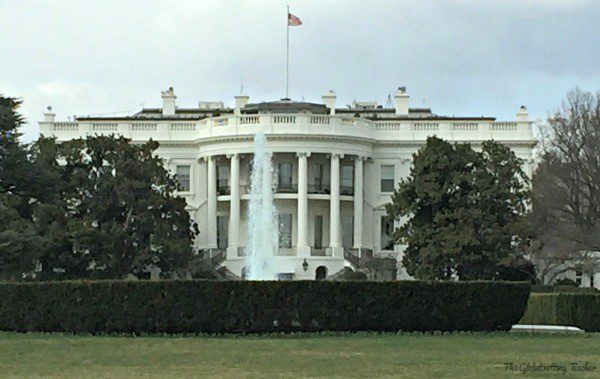 You don’t need any U.S. government approval as long as your visit falls within one of the acceptable category reasons. Learning Spanish and studying the Cuban culture should count. In addition to talking to people, why not stay in a casa particulare where you’ll have the chance to interact with locals. You could also include historic and cultural landmarks and museums. This way, you’ll have some proof should you ever have to verify your reasons for going to Cuba, rather than simply saying you interacted with the people. Be sure to keep records like a museum stub or a confirmation email showing you stayed with a local family via Airbnb or something similar. Please remember that although I have researched this subject, I am not a lawyer or a government official. 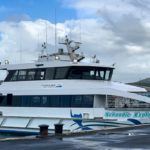 You should absolutely check for the most up-to-date recommendations and requirements for the time you want to take your trip. Hope that helps, Kristina! Enjoy your trip! I will check your Pinterest board for ideas, I am thinking about doing my own diy people to people trip. I saw that your trip was cancelled, that is a bummer! I would still be interested in hearing what you were planning on doing! I’m very excited about my trip to Cuba! I believe there are at least 2 of the license provisions I’d fit under. I checked the cfr section governing educational activities (which I figured people to people falls under because it’s not listed as one of the 12) and did not see the option re: self-guided people to people travel which you referenced. Can you please point me to the part of the regulations that says that is now the case? Thanks! A trip to Cuba is very exciting, Denise! So, just to be clear, I’m not a lawyer, nor am I qualified to interpret legal statutes. However, from my research, if your trip falls into one of the 12 categories and your activities match then you are planning/going on your own people to people trip. There’s no need to pay for a guided people to people if you feel confident you can plan activities that match your Cuba travel category. Be sure to keep records of your activities while there for several years should you ever be asked about it. Have a great trip!